What do you dream about for your children? 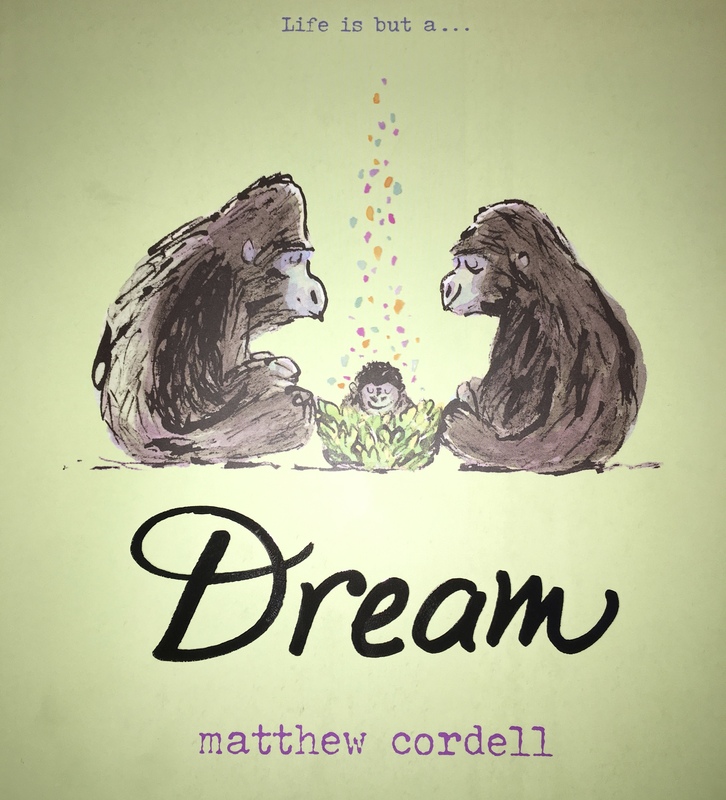 I don’t know if Matthew Cordell’s Dream is a book for children or their parents. Probably both. While the beautiful pictures are sure to capture the imagination of any child who looks at it, the story is written with parents in mind. I wish this book had been written when Emma was an infant. 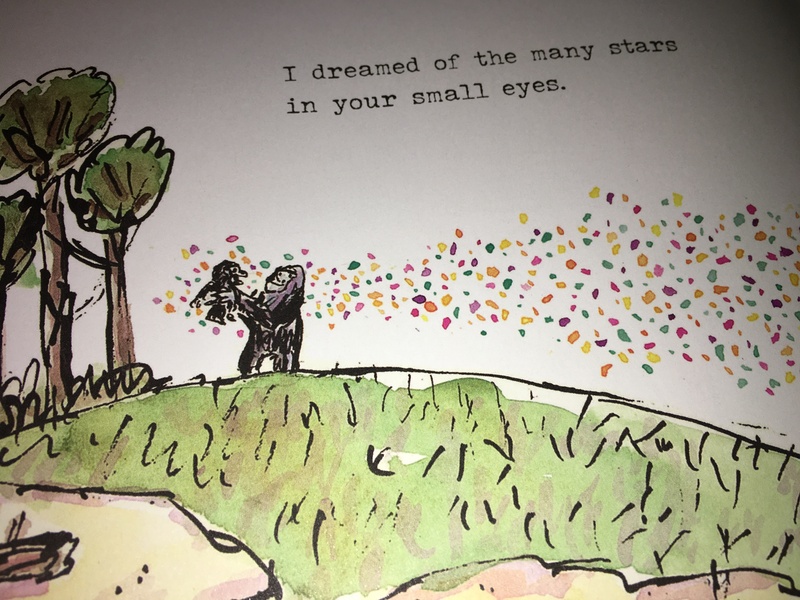 I think I would have read it to her every night as much for her as for me. As she got older, I would have put it in her keepsake box for her to one day read to her children. I can imagine that as she reads it, an understanding would light up her eyes as she realizes for herself exactly what I must have felt when I was reading it to her. With Mother’s Day and Father’s Day both coming up, it’s hard not to imagine this being the perfect gift for any parent of a young child. The story is simple. It’s about two gorillas who have just had a baby together and as their tiny infant comes home and sleeps for the first time they dream. And what they dream of is the future of their child. A life filled with hope and wonder. Of exploration and of joy. Of sadness and disappointment. And of all of life’s potential. The art style is like that of a painting unfolding before your eyes. The symbolism of a paintbrush making its first stroke on the page to open the book is like a life just starting out – fresh and clean with so much possibility ahead. Each page features the same style of art with thick brush strokes capturing the boldness of the scene but with finer detail for the gorillas themselves. The child in the family always has a trail of multi-color bubbles around him so its easy to identify which one is the child. And we see that child grow up in the mind of one of its parents. But its only a dream and each day is filled with new possibilities. It ends with a beautiful picture of a family and a place to call home with a huge sun filling the page with light and hope. I love the typeset because it reminds me of an old-fashioned typewriter which evokes for me the sense of a letter being lovingly written from parent to child. And that’s the other thing I like about the book. It isn’t written from a gender specific point of view. No matter if you are a mother or a father, you can read the book as if those thoughts on the page are the ones in your head. The child is also non-gender specific. I don’t know how Matthew did it without drawing attention to the fact that no gender is ever mentioned, but because of that it could be from any parent to any child and feel as if it was written just for them. A sure hit for parents and kids alike, Dream is a great homage to parents everywhere.